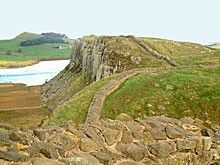 We have a range of walking holidays along Hadrian’s Wall, from a 3 day short break on the most dramatic, central section of the wall between Humshaugh and Gilsland. To a 6-10 day walk over the entire length of the National Trail. 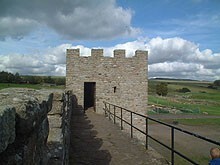 Click on the links below to have a look at the details for each Hadrian’s Wall walking holiday. Which Way to Walk the Wall? 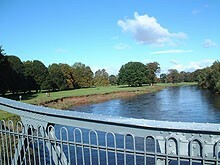 We are happy to arrange the walk in either direction. Most people walk from east to west, as described here. 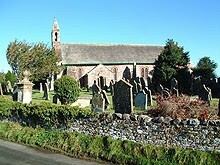 This is the way the official guidebook describes the route, but another guidebook offers a description in either direction. Some people prefer starting in the west, as this is the direction of the prevailing wind. However, we often get easterly winds as well, and we think it’s good to get the urban bit around Newcastle out of the way early. If you’d like to start in the west, please make a note in the comments section on the booking form. 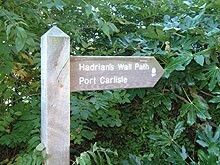 The Best of Hadrian's Wall holidays are popular for those with less time, or who want to concentrate on the most dramatic central section of the walk. 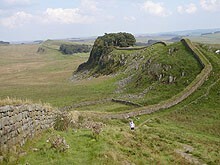 Here the landscape is at its most impressive and large stretches of the wall still remain. 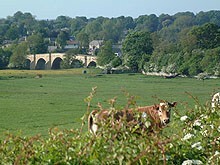 This is our longest "Best of" route, starting in the pleasant market town of Corbridge, where there is also an extensive Roman site. This is our shortest route, concentrating exclusively on the section where the wall is intact, and the landscapes are at their most spectacular. 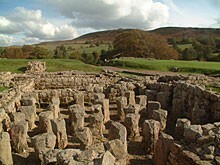 Days are short, leaving plenty of time to look around the numerous forts, milecastles, and other Roman remains.